I live in Redmond which has the tag line "bicycle capital of the northwest." 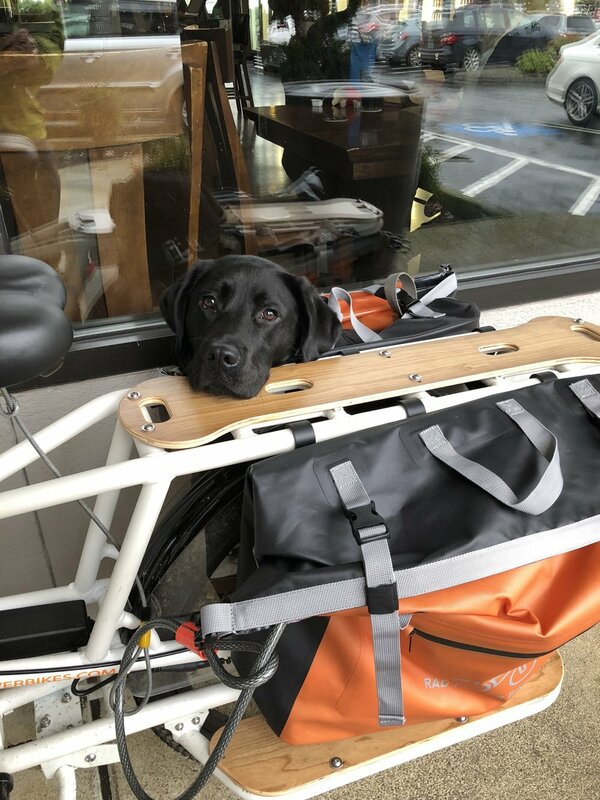 Part of my criteria for an electric bike is one that i can take dog with me and go to the dog park at Marymoor. Took my dog, "Bea" today and she had a great time. Rode there at 20 mph, carrying a 50 lb dog and myself. Oh and the other criteria is my son can use electric bike. It weights 70 lbs has a 750 watt motor. He can use it in electric power mode only and zip around probably 30 miles without peddling given he weighs less than 100 lbs. I have been riding with peddle assist and it looks like I can go about 35-40 miles at 20 mph. Using my Apple Watch my heart rate gets pushed to 145 bpm.